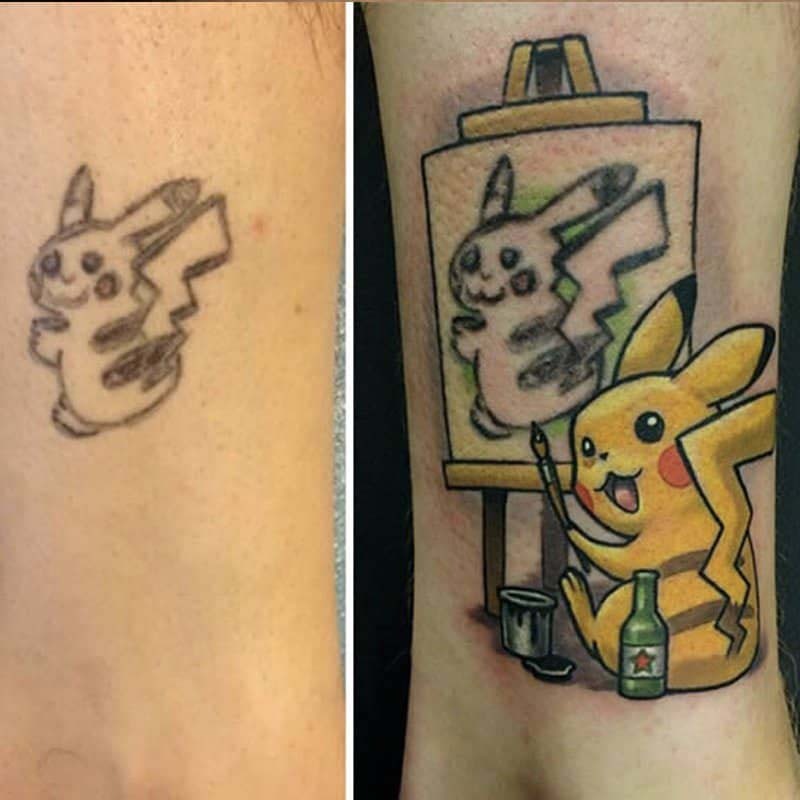 A cover up tattoo artist made an interesting twist to the work by covering up an embarrassing Pikachu tattoo with another Pikachu tattoo. 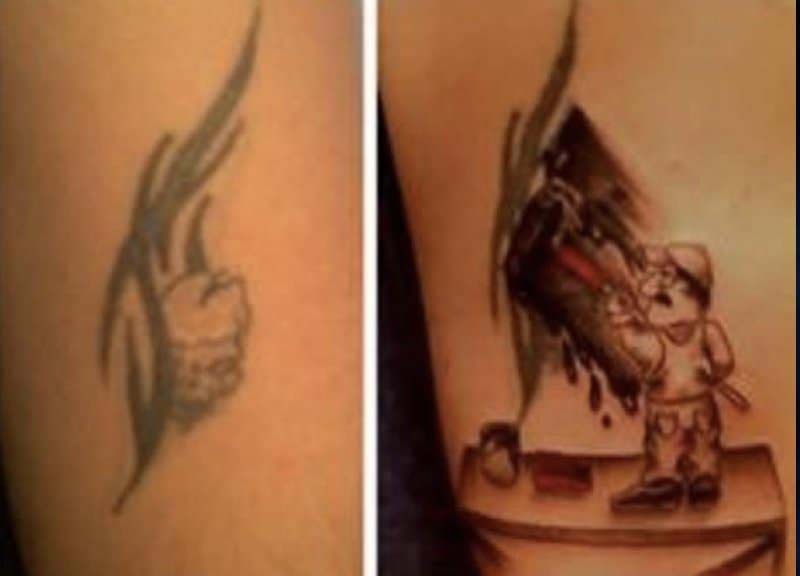 The final result is just genius. 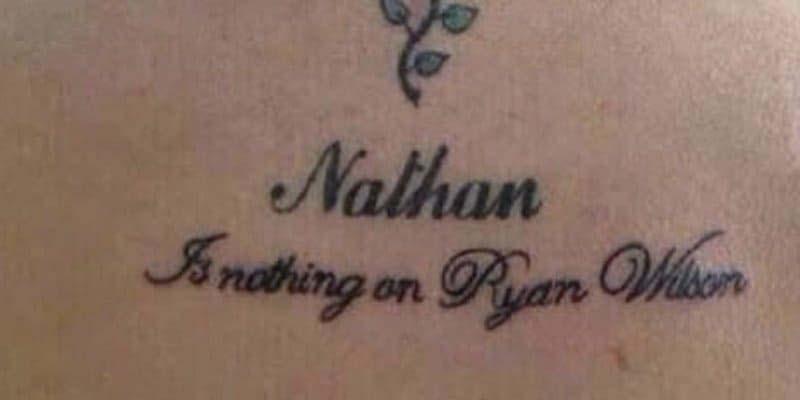 Well done… but what happens when she breaks up with Ryan Wilson? 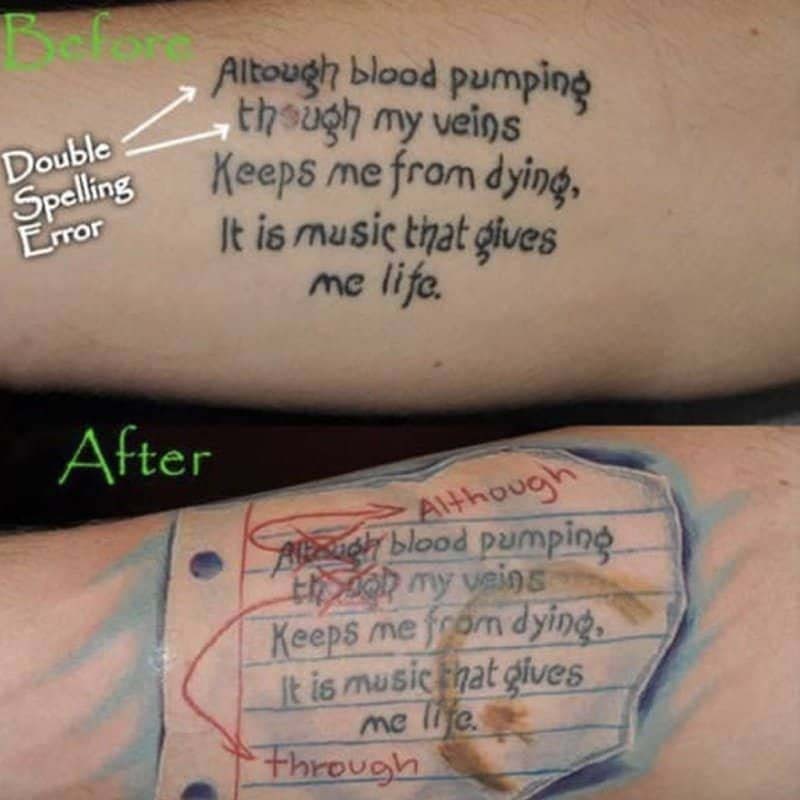 The original tattoo has tons of misspellings. 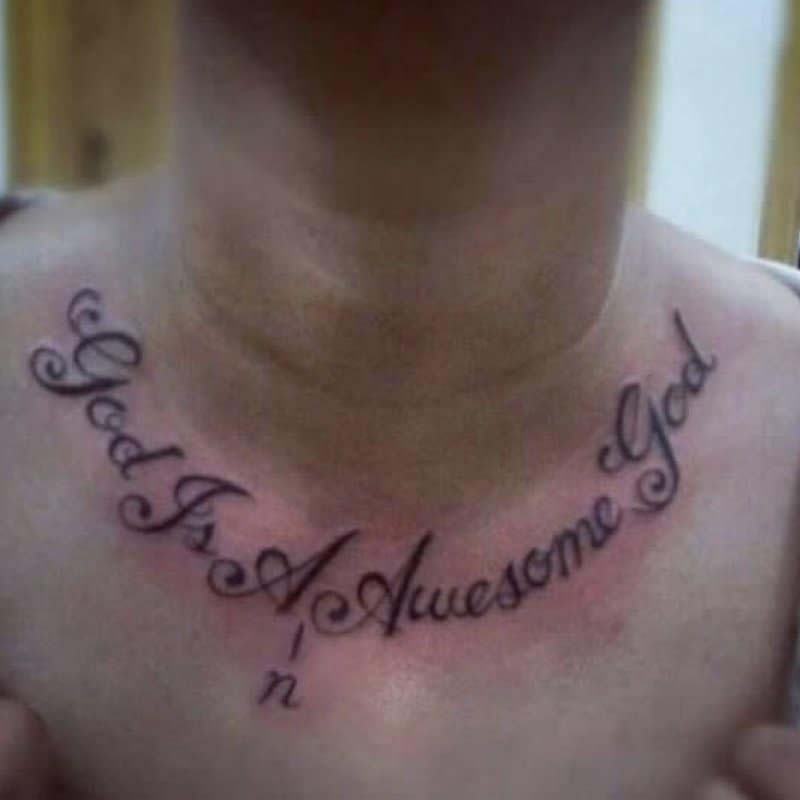 It’s difficult, even close to impossible to correct it as it is, so the tattoo artist came up with a solution: he made it look like a school assignment, complete with teacher’s corrections and a stained coffee cup. 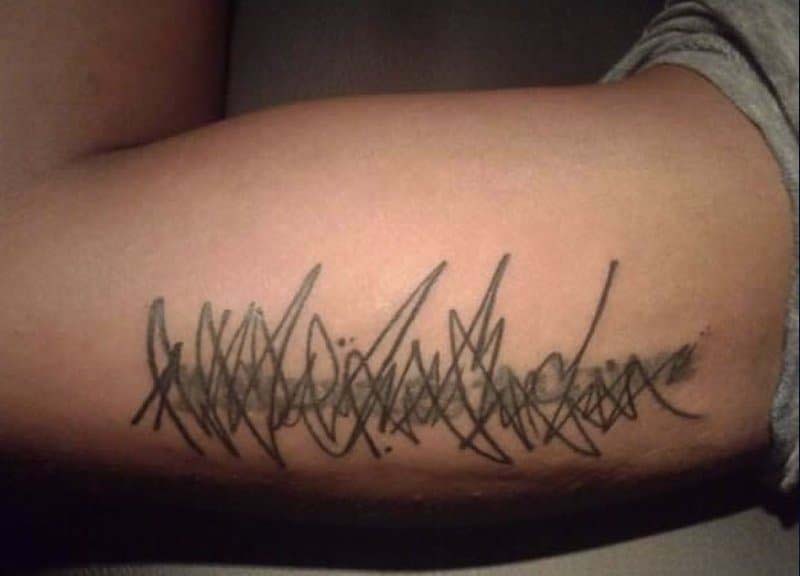 When you just don’t want to bother about a big inked problem, just scribble it out. 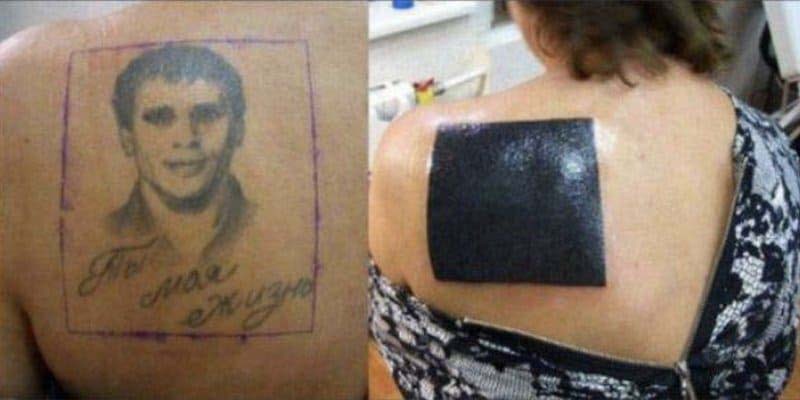 Because I don’t know, I find this big giant square so significant I had it tattooed in my back. 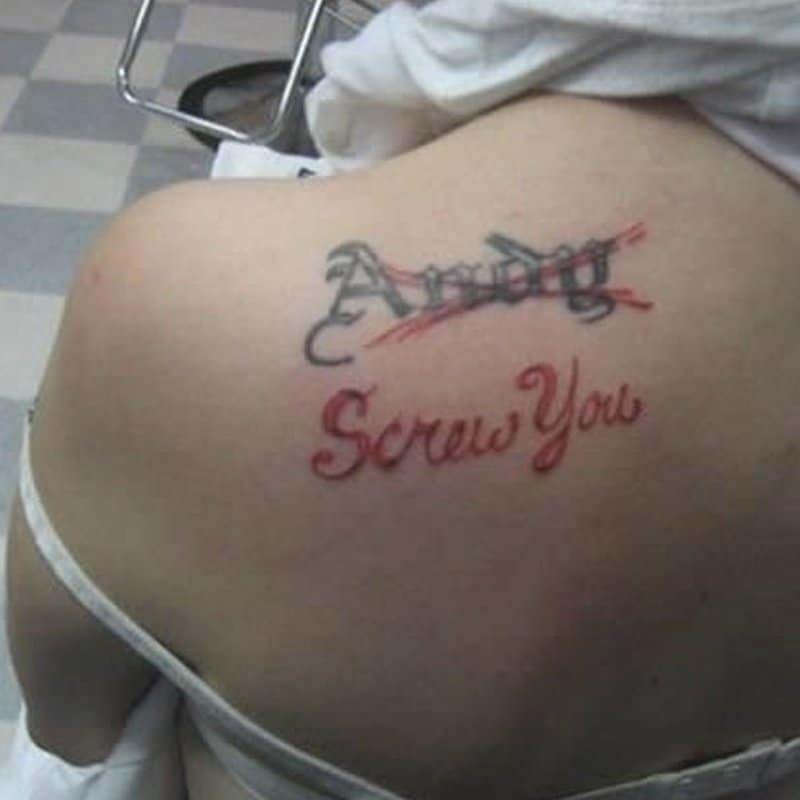 This is one way to cover up a crappy tattoo you got that one time you got drunk..
Because sometimes, sh*t happens. 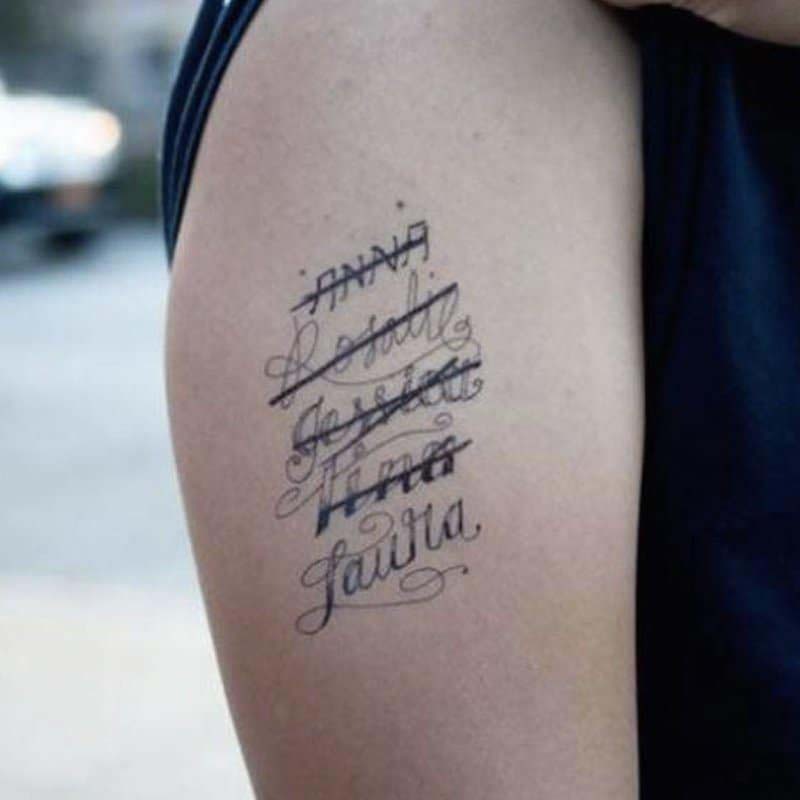 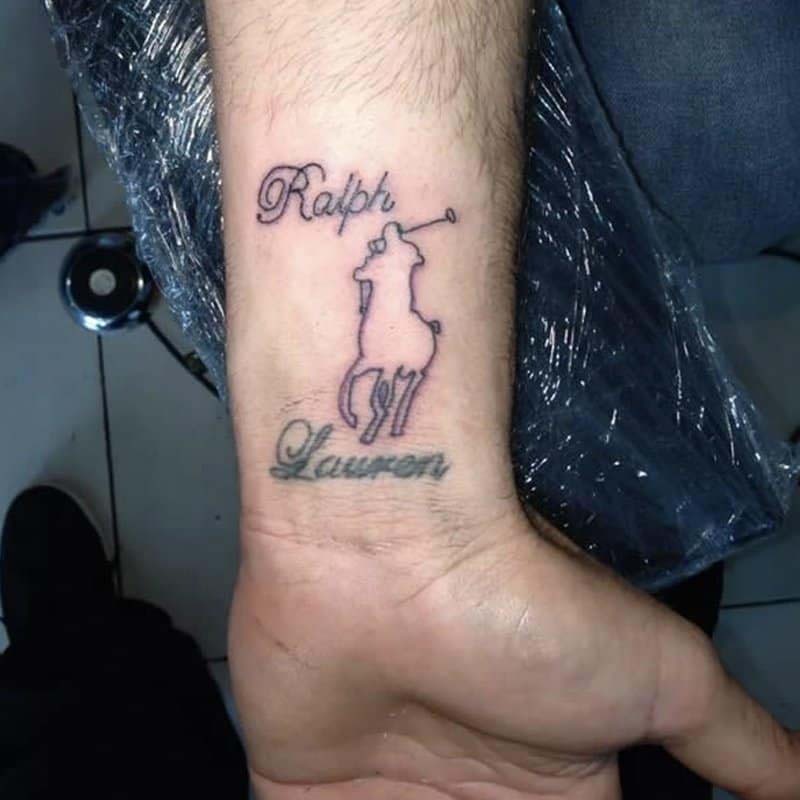 This is one solution of removing an ex’s name off your skin.